The way children interpret clouds is fascinating. I don’t see adults doing this very often which reinforces my belief that we are all born artists but, most of us grow out of it. 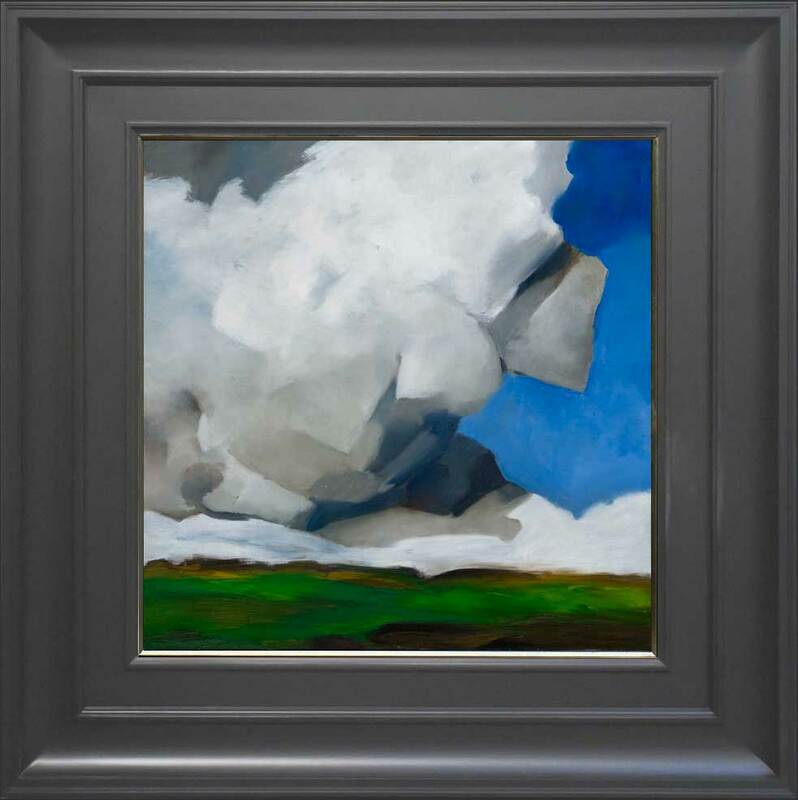 This painting is not really about clouds, it has more to do with how, or why, we see things a certain way. 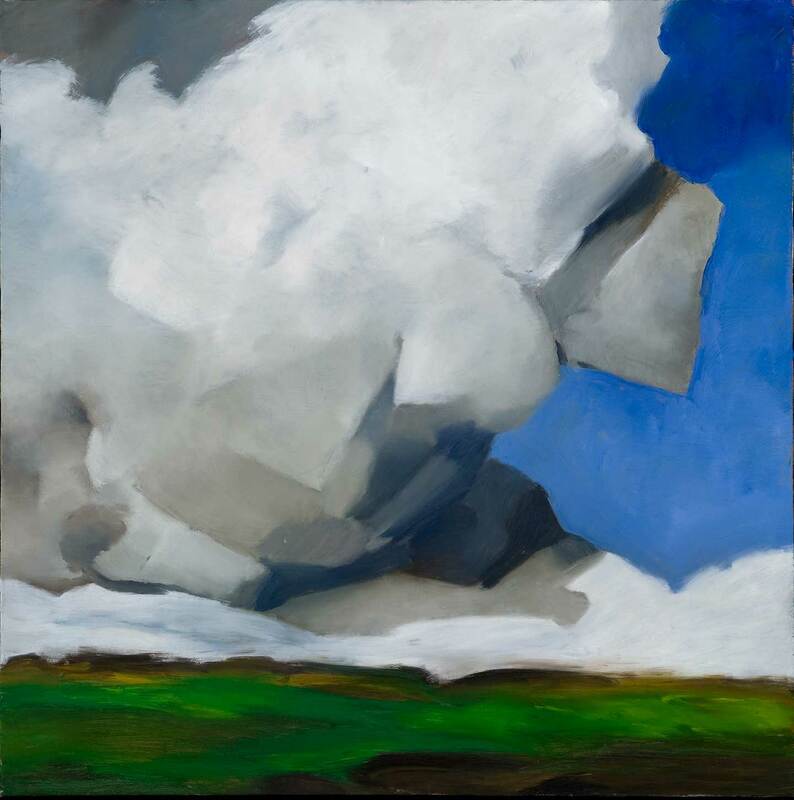 Now, I deliberately painted these clouds with geometric shapes, I made them heavy and impossible to be realistic, I titled it, “Boulders,” in the hope that people would at least make a correlation between reality and illusion. But, no one noticed, and trust me, I have no shortage of people pointing out my mistakes. Adults said things like, “Oh, I just love paintings of clouds,” but, my daughter who was six at the time said, “I love Popcorn!” – A while back I read, “A Separate Reality,” by Carlos Castaneda and remembered this quote, “We are beings who are going to die. We were programmed to live like beasts, carrying loads of customs and other people’s beliefs until the very end.” So, my question is, when does this start to happen? – This painting is from Dead Reckoning, see the link below for more.